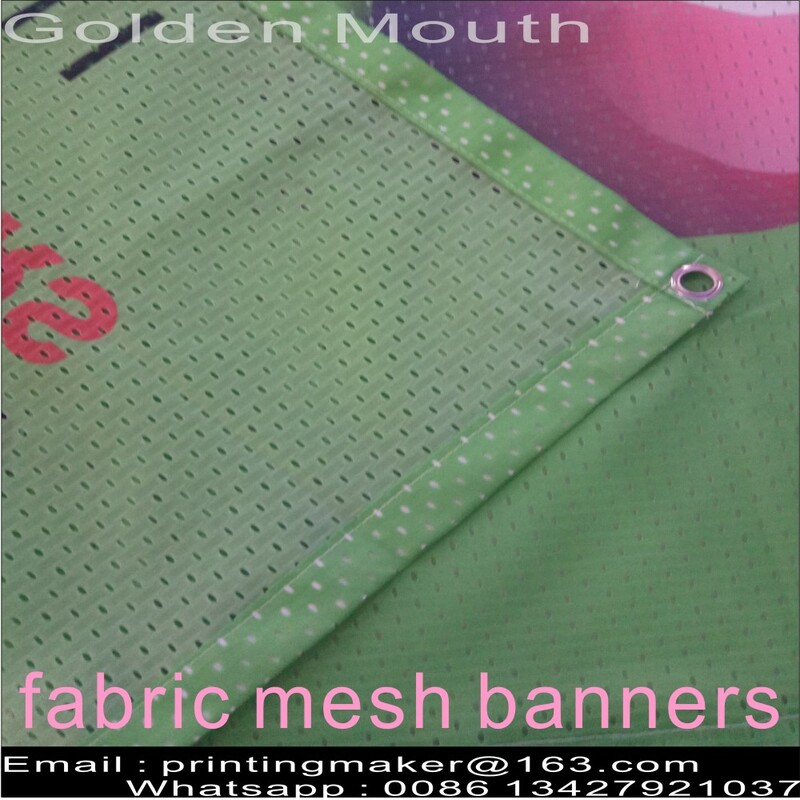 Product categories of Mesh Fabric Banner, we are specialized manufacturers from China, Fabric Mesh Banners, Mesh Fabric Banner suppliers/factory, wholesale high-quality products of Fence Mesh Banner R & D and manufacturing, we have the perfect after-sales service and technical support. Look forward to your cooperation! Mesh Fabric Banner is 120 g polyester fabric banners . It is very soft and light like flags` material . The printing tech for this material is digital printing and silk screen printing. Mesh Banners are custom printed at 1440dpi on 1 side or double sided fabric mesh banner. UV Inks provide bright vivid colors that last up to 5 year outdoors. 1. How to pack the fabric mesh banner ? ----- Folding with opp bag and outer carton. 2. A: How to send the very large file to print ? B: To use "yousendit " or "dropbox " or "wetransfer" or CD card or UBS or online. 3. A: How to make the order ? 4. A: How to make the color right ? B: If clients are strict on the color ,please send us the printed sample in hand ,or tell us the Pantone Number for each color.